1165-573 Sherling Place, Port Coquitlam - Studio, bath - For Sale | Regent Park Realty Inc. This unit is located by a high exposure corner at Fremont Street and Sherling Place situated in River's Edge Business Park within the heart of the Dominion Triangle area. High end architecturally designed building. Concrete tilt-up construction. Extensive ground and mezzanine level glazing. One skylight to bring in natural light into the premises. 500 lbs per square foot floor load rating. ESFR rated sprinkler system. T-5 fluorescent lighting. 100 amp, 347/600 volt, 3 phase electrical service. Rear grade level loading. 3 parking spots. Forced air gas warehouse heaters. 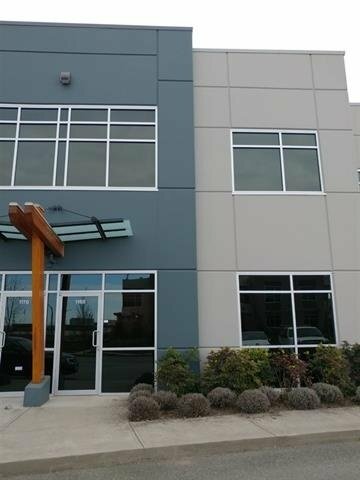 Close proximity to Pitt River Bridge and Golden Ears Bridge and to the east, Coast Meridian Overpass and to the west and just minutes from the new Cape Horn Interchange, Port Mann Bridge and Highway #1.